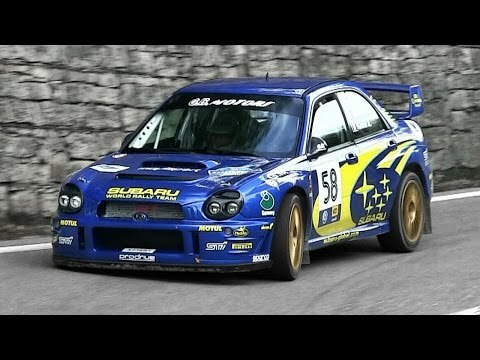 This video is about two Subaru Impreza WRC 2001 (S7 for the Prodrive nomenclature) I saw during the last 3 editions of the famous San Marino' Rally Legend. The one plated "X23 SRT2" is chassis #28 which was driven by Petter Solberg in 2002 during the Rally of Monte-Carlo. The second one (X15 SRT) is chassis #21 and was driven by Richard Burns during the 2001 Rally of Sanremo and the 2001 Tour de Corse.